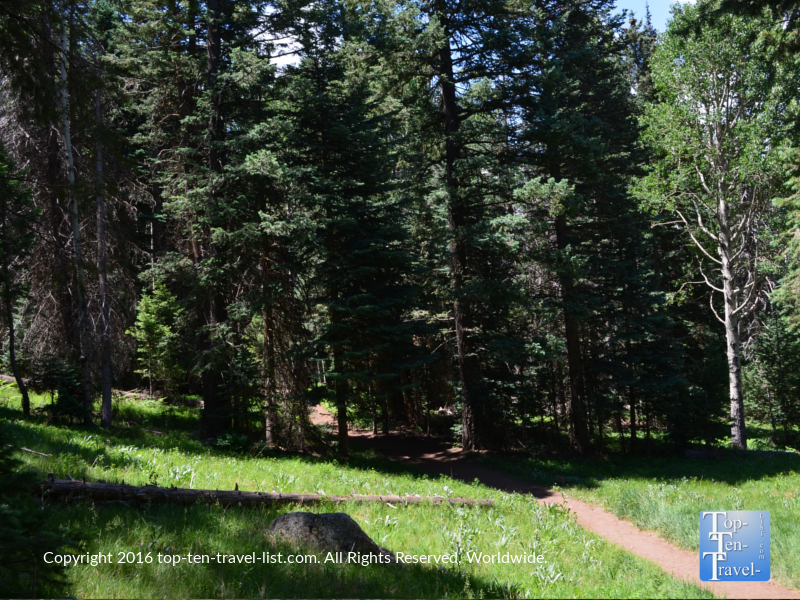 A Picturesque High Altitude Stroll Along Northern Arizona's Kachina Trail - Top Ten Travel Blog | Our experiences traveling throughout the US. 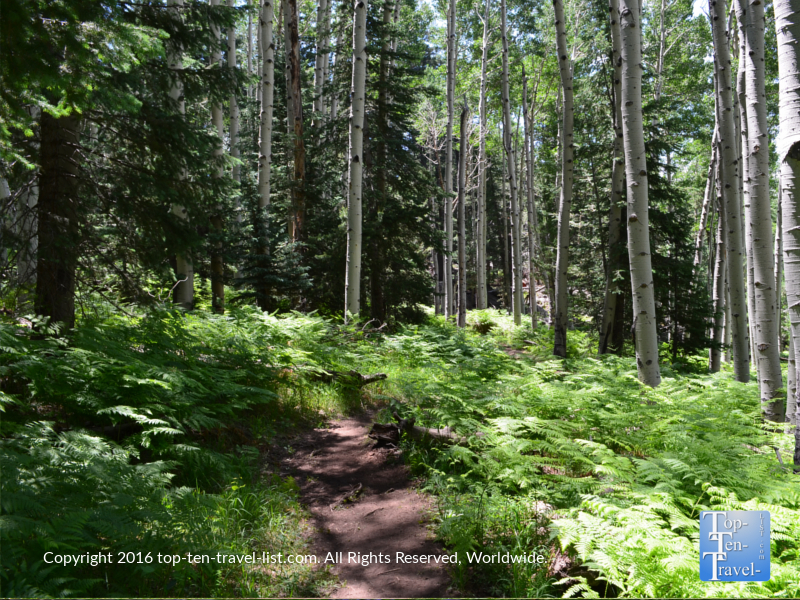 The Kachina Trail is one of 3 hiking options at Arizona Snowbowl, a year-round outdoor destination for various sports such as skiing, snowshoeing, hiking, running, and mountain biking. While the most popular summer activity is taking a scenic chairlift ride, a more budget friendly & peaceful alternative is enjoying one of the gorgeous nature trails. While everyone else is waiting in line for the ski lift ride, you can enjoy a quiet trail all to yourself and save yourself 20 bucks in the process. 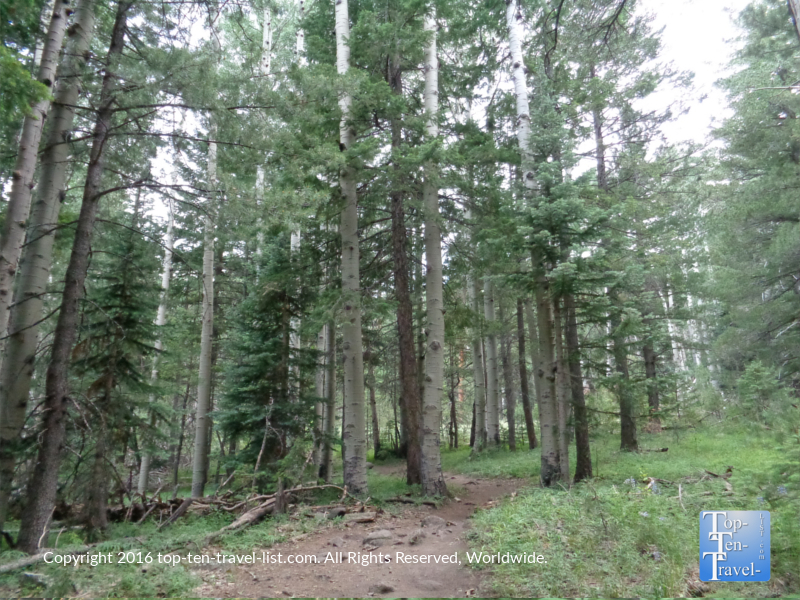 The Kachina Trail is long (10 mile total), however, you can complete just a short section if you just feel like taking a nature stroll, versus a strenuous workout. In fact, the most scenic portion of the trail is the first 1.5 miles. 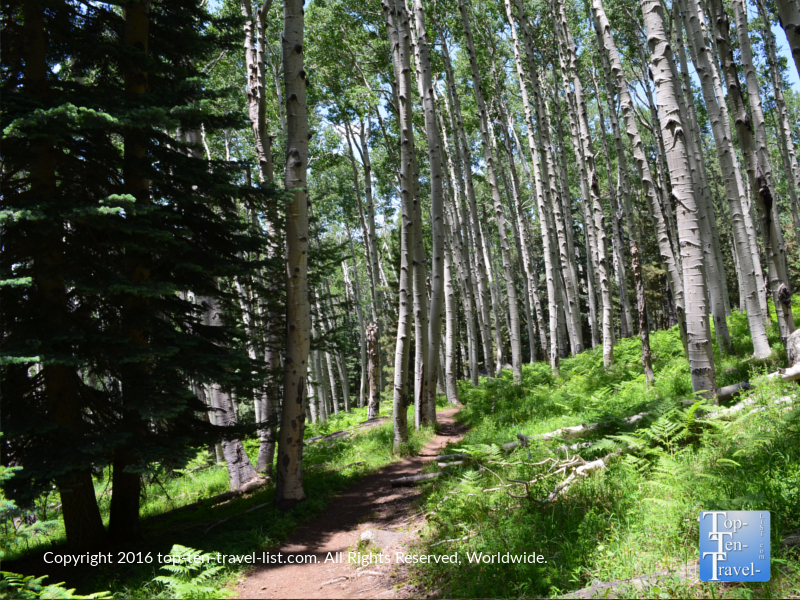 I recommend a 1.5 mile out and back hike as this is where all the gorgeous aspen groves are located, making it a great choice for a fall foliage hike. Come fall, this portion of the trail shimmers with golden aspens, creating the perfect rare-for-Arizona fall ambiance. 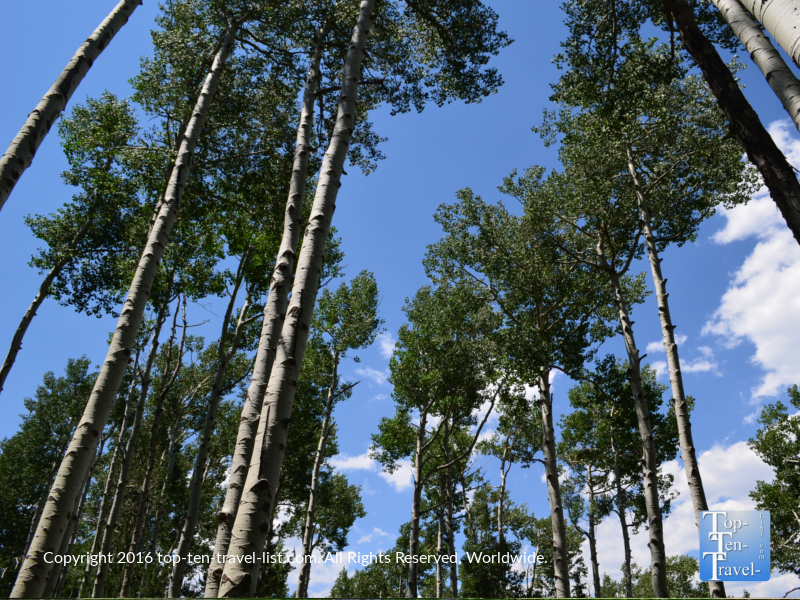 This moderate hike takes you through an interesting mix of plant life which includes both aspens and pines. The contrast between the 2 trees is especially dramatic during the fall season. During the summer, you may see all different colorful wildflowers. In addition, views of the mountains and beautiful meadows pop up at various points along the way. 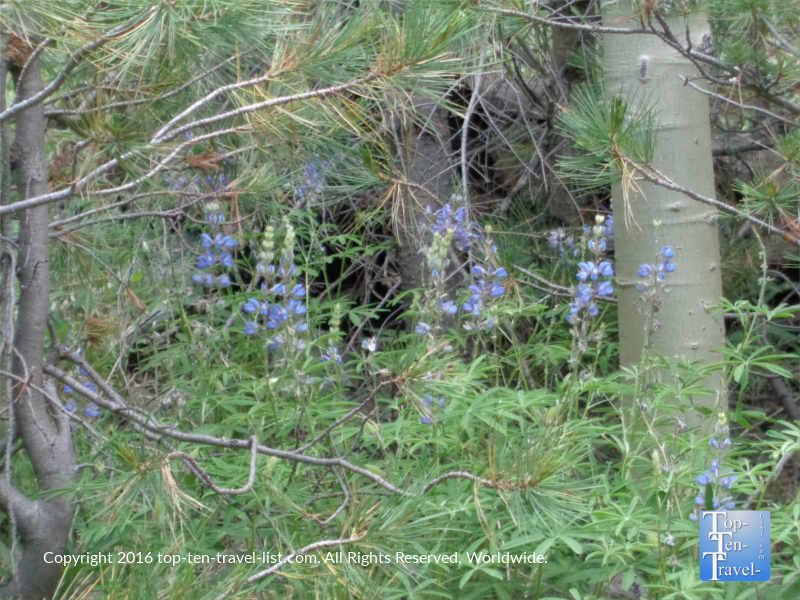 Many forms of wildlife call this forest home: in fact, the Kachina trail is one of the best places to see a black bear! To date, I’ve never seen a bear track on this trail nor any other in the Flagstaff area. 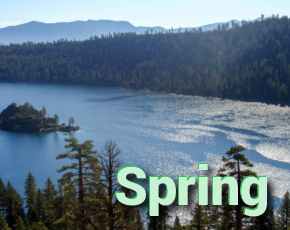 Due to the high elevation (8800-9500 feet) and slightly steep incline on the return route (the trail drops in elevation 700 feet), the trail can be a bit challenging, especially for those who do not hike often or are not acclimatized to the higher elevation. While more challenging than the nearby Aspen Nature loop, it’s much easier than the super strenuous Humphrey’s Peak. It also happens to be quieter than both of these trails. Kachina is one of the area’s hidden gems: an underappreciated, under used trail which never gets overcrowded. It’s the perfect cool summer escape when temps in town are just a little too hot and also one of the area’s best fall foliage hikes due to the numerous aspens found near the beginning of the trail. 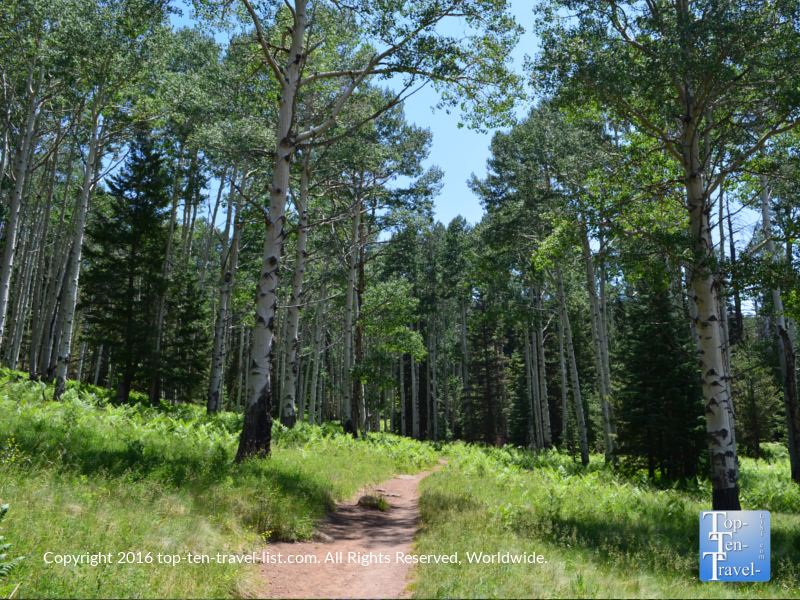 While not the easiest, nor most challenging or popular trail in Flagstaff, Kachina earns its’ place amongst the most relaxing and picturesque options. 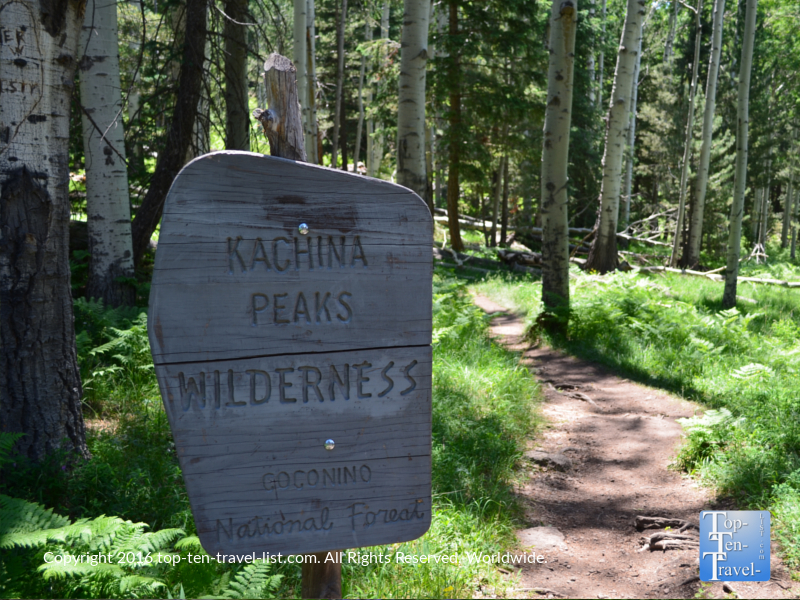 For the hiker seeking a secluded stroll through one of the region’s most beautiful areas, the Kachina Trail will surely fit the bill. Remember that the trail will feel more hilly on the return route. Do not let the easier downhill portion fool you. Remember you must go back the number of miles you set out, so choose your mileage carefully! Check the weather forecast during summer monsoon season. During this time of the year, the weather can change suddenly. Try to pick a clear day free of any clouds. Many hikers get struck by lighting each year in Northern Arizona. If completing the entire trail, be sure to prepare with plenty of water (a camelback is a great option), a hiking stick, and snacks to replace lost electrolytes. Set out early in the morning to give yourself plenty of time. Many hikers park a car at Friedlein Prairie Road (FR 522) so they can complete the trail one way. 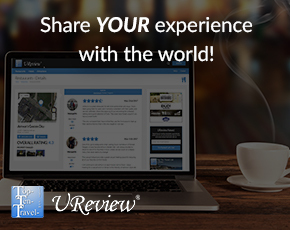 This is a great option as you do not have to go all out hiking 10 miles, yet are still able to see the numerous scenery changes along the trail. 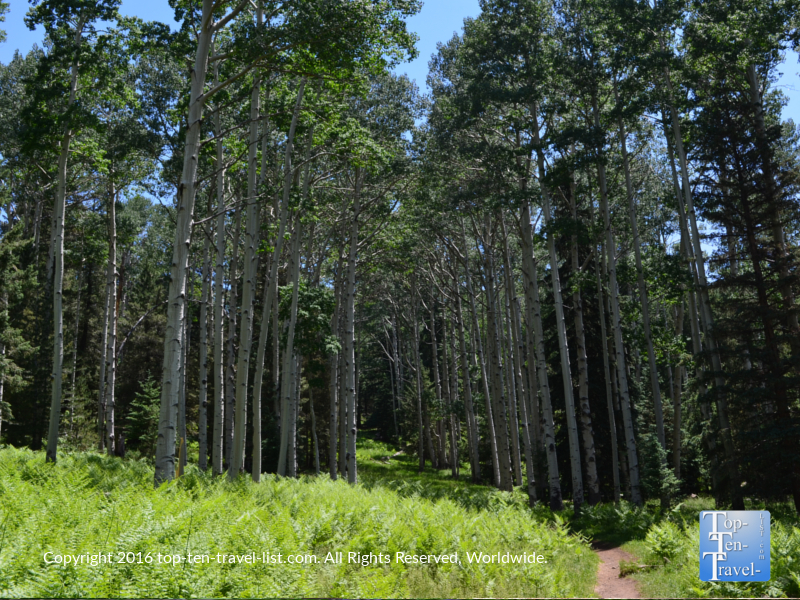 Address: The Kachina Trail is located in the Arizona Snowbowl area at: 9300 N Snow Bowl Rd, Flagstaff, AZ. 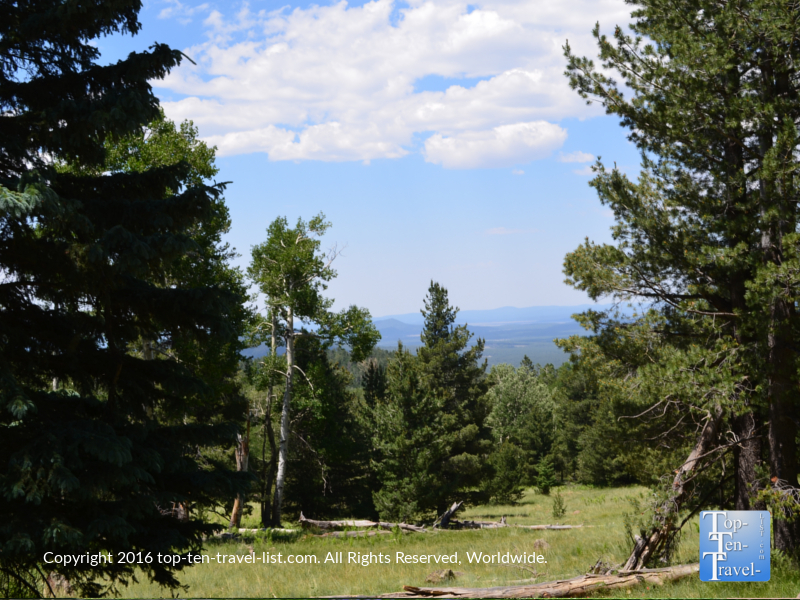 The trail is part of the Kachina Wilderness area, located within the Coconino National Forest. There is no fee for parking. Total time: varies based on how long you venture out.